PopCult Note: The Max Fleischer Superman cartoons are such classics that we are going to feature them in this spot for the second time in just over two years. We’re also doing this because your PopCulteer is out of town, but the Gazette-Mail blogs were down for technical reasons when he left, and therefore he had to create this post on the road, from the hotel in Knoxville, Tennesee. Luckily these are really good, so it’s cool to run them again. 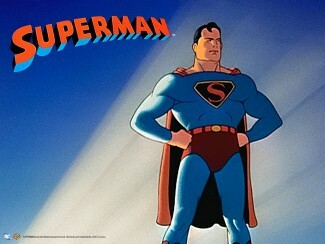 In the 1940s, Max Fleischer’s studio produced seventeen full-color Superman cartoons. Fleischer had made his name as the producer of cartoons starring Popeye and Betty Boop, but this foray into a dramatic series of shorts was unlike anything that had been produced before.For many fans of the Man of Steel, this remains the definitive version of the last son of Krypton. Alex Ross based his version of Superman in the graphic novel, Kingdom Come on the Fleischer Superman, and Bruce Timm and Paul Dini, the primary designers of the DC Animated Universe drew their visual inspiration from him. With a sleek look and incredible animation, Fleischer’s Superman set a standard that animators still strive for today, some 75 years later. Above you will find all seventeen Fleischer Superman cartoons, in one playlist.